We employed a plumber to swap a new suite in our cloakroom and do a little tiling. The tiling was a disaster and the plumber agreed with me. Whilst he said he would have another go i told him it was so bad that i wanted someone else to do it and he agreed. The plumber subseqently removed the tiles which were damaged beyond use. The replacements cost me £300 but he still expcts me to pay him in full even though i had to replace the tiles at my cost and pay a tiler £110. Where do i stand legally as he does not seem to want to negotiate and the bathroom still isnt totally finished so i want to get someone else in to do it? The plumbers quote in total was only £480 if i deduct the tiles and the cost of the tiler, then pay someone to finish the room, my costs will amount to the origional quote. Hi in my opinion the first contractor has admitted liability to you for the poor workmanship so if it cost you an extra £410 this should be off set against the original £480 so all you owe is £70 but i would be agrieved to pay that to the original plumber. I would point out to the plumber that his reputation is at stake and you could point out that you could take it further legally or local press anyone with common sense should see that the job has gone wrong and take the loss. Hi you should definitely deduct the value of the damaged tiles plus rework cost and not pay for that part of the substandard work , take photos and record his statements that the work was poor, many plumbers don't specialise in tiling but are having a go due to the current economic climate. You have to find some common ground and both agree to disagree. As i see it from a professinal outsider the quote given must be broken down into sections. If you are satisfied with the plumbing work then offer the payment for this. If you are not satisfied with the tiling work and you are confident in your own mind that the plumber does not have the tenacity to rectify the tiling then dont pay him for some thing he isnt qualified to do. 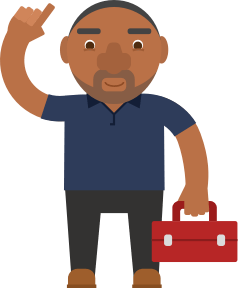 Equally the plumber cannot expect payment for something he didnt do well and if he used your materials which cannot be salvaged to be reused he must stand this cost from the payment from the plumbing side of the job. I sincerely hope this would be a lesson to him not to take work on that he is not qualified to do. a tradesman should never undertakes a job he is not qualified to do. the plumber agreed that the work undertaken, was in his own words a disaster. he was not skilled in tiling and should have told you that he was not a tiler,and in all fairness you should have ask,s him if he could do the job. pay him for any plumbing he has done, but tell him you want to claim of his insurence, this sounds like a 50/50 case. if you are not sure phone the c.a.b. i hope this helps you. I wish some trades stick to what they know best and not someone else,s trade. As what people have said in this link, if you are not satisfied then don't pay a penny. If he touched and damaged the tiles then he is responsible for the cost. He should not have attempted to do the job in the first place if he was not sure. Legally i'm not sure where you stand if there were no contracts, but verbal (he agreeing he could do the job) is binding in a way.Find out if he has insurance and if he still want paying tell him you will make a claim on his insurance to cover the cost. I personally would not pay him. How soon after completion do I have to make my final payment to my builder? Borderline incompetent kitchen fitter - what paperwork do i need?